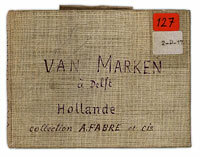 Manufacturer J.C. van Marken was one of the first Dutch entrepreneurs who took care of the social welfare of his employees. This photo album from the archive of Jules Prudhommeaux shows pictures of the 'social institutions' which Van Marken realised around 1895 in Agnetapark (Delft). The album measures 9.5 x 12.5 cm and consists of 33 photos. You can browse the pages and view the photos. 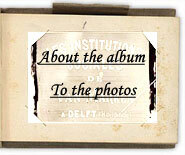 In 'About the album' you can read more about the photo album and Van Marken. This is the contribution of the IISH to the virtual exhibition 'Constructing Europe' as part of the SEPIA (Safeguarding European Images for Access) project. The project is funded by the EU.